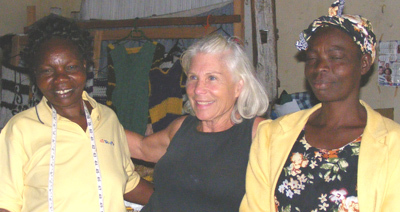 Project 1 is creating grandmother circles here in the United States that build relationships with the women circles Kenya that are associated with our contact in Kenya. Circles here can write, email through our webpage to the women’s groups in Africa. Circles here can pray and tell the stories of the grandmothers and the widows who are raising orphans because of the AIDS epidemic has effected or killed the parents of the children. We have speakers that can come to your house, church, book club or association meeting. Two of our board members traveled to meet the grandmothers this past summer. We have many stories and pictures to share with you.